Fishing For Ideas? 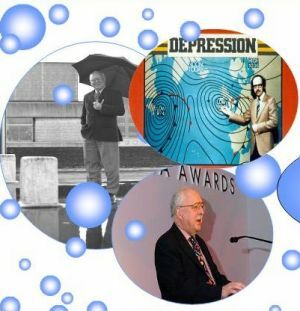 Whether you are looking to kick up a storm with your latest media campaign, blow hot air around a certain meteorological/eco issue or simply need a great speaker to make an event shine then why not contact award winning Michale (Hurricane) Fish (MBE) - Britain's longest-serving TV weather forecaster. A professional broadcaster, recognisable face, name and voice, Michael has recently been devoting his emergencies to publicising climate change. Michael is always on lookout for a challenge and is ready to let his hair down and do all the outrageous things he has not been able to do before.